I doubted Max Holloway. I admit it. 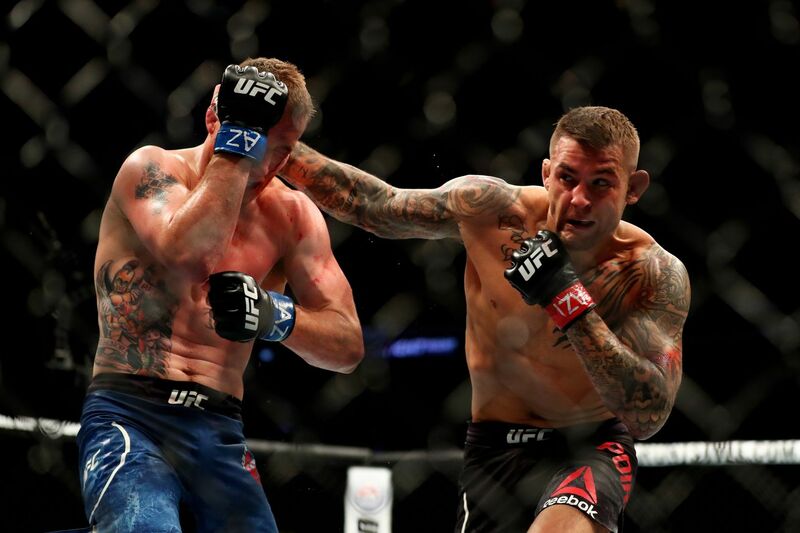 He was unable to make it to the scale for his last couple of fights, and by all appearances, it seemed as if the cut down to featherweight was getting to be too much for the champ. So when it was announced he’d finally be facing top challenger Brian Ortega in the main event of UFC 231, I was skeptical he’d even make it to the cage. Or, the very least, he’d be too depleted from his weight cut to do anything but lose. For four rounds, Holloway beat the ever-lovin’ crap out of Ortega, feeding him a steady stream of punches that eventually turned the challenger’s face into a Tiki mask. RECAP! Rountree Stops Saki Quickly! Ultimate Fighting Championship (UFC) Light Heavyweight knockout artists Gokhan Saki and Khalil Rountree collided last night (July 7, 2018) at UFC 226 from inside T-Mobile Arena in Las Vegas, Nevada. Saki may just be 1-1 as a professional fighter, but there’s a reason fans are so excited. “The Turkish Tyson” is an insanely decorated kickboxer, and his UFC debut was a spectacular knockout win. 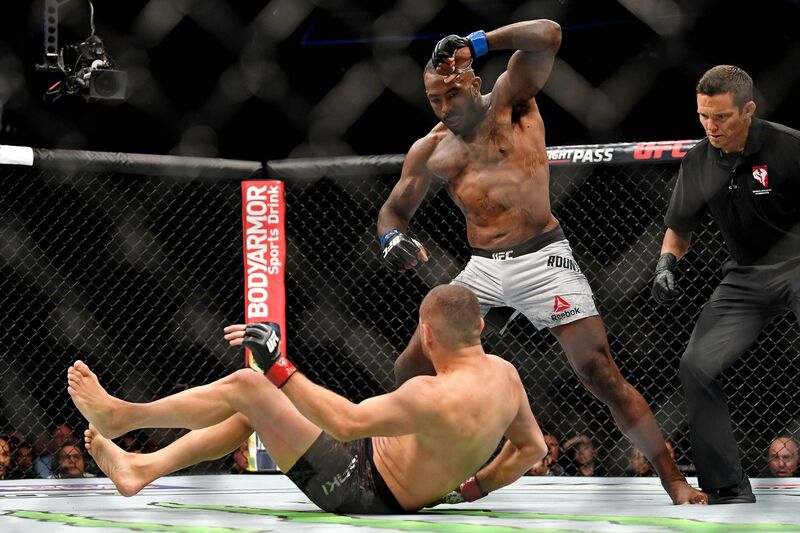 There were things to improved from that fight, sure, but as Israel Adesanya showed just 24 hours prior, amazing things happen when those adjustments are made. As for Rountree, the American had plenty of potential as well. Though still early in his career, Rountree’s knockout power was already fearsome, and he came out looking to show Saki to downside of 4 oz. gloves. Saki stalked his opponent methodically, blasting at his opponent with right kicks. To his credit, Rountree blocked well and didn’t absorb anything too cleanly. Rountree also made his speed advantage clear, bouncing forward with fast combinations of dangerous punches. Unbothered, Saki continued to move forward switching stances and looking to land kicks. Suddenly, Rountree responded to a low kick with a cross down the center. It connected directly on the chin, and Saki went down hard. Saki seemed more surprised than anyone, simply covering up underneath a barrage of hammer fists. The referee called the contest about 90 seconds in. There isn’t much to analyze here. Rountree stayed tight defensively and let Saki come forward, looking for his moment to land with giant power. Last time out, his desire to wait for the perfect shot cost him rounds, but it worked out pretty perfectly this time. It helps Rountree that Saki didn’t really hide his intentions. The kickboxer clearly wanted to stalk and kick, but he did not set up his kicks with punches at all. 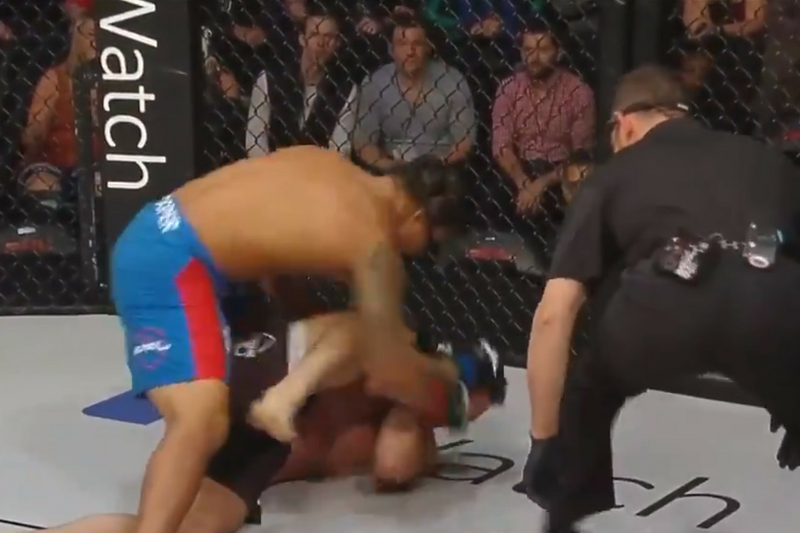 As a result, Rountree was able to read the naked low kick, and he was definitely fast enough to capitalize. As for Saki, it’s easier to throw naked kicks when you have large gloves to cover your face. With those little MMA gloves, he was much closer to a sitting duck. Naked low kicks are seriously dangerous to throw in MMA and better be well-timed or at least hidden by feints. It’s likely that Saki has been working on his defensive grappling, but there are important striking adjustments to make as well, and Saki is learning that the hard way. Last night, Khalil Rountree flattened his foe quickly. Just how high is the power puncher’s ceiling? Technically, when a human body is separated from its head, all parties die. That’s essentially what Brazilian striker Edson Barboza does – he utilizes kicks and knees to knock people’s head off. But apparently UFC Fight Night 128 opponent and fellow main eventer Kevin Lee is made of sterner stuff, because for sure Barboza decapitated him with a fantastic spinning wheel-kick. Yet somehow Lee survived. For the first two rounds, Lee did what he was supposed to do: employ his dominant, aggressive wrestling and top game to get Barboza down and batter him relentlessly from mount. Barboza, in his best moments, could only fight to regain half-guard and not get pounded into jelly. But then in Round 3, seemingly out of nowhere, Barboza threw a spinning wheel-kick (his signature move) that nailed Lee in the head, and Lee was literally doing the Funky Chicken on baby giraffe legs around the Octagon. Instinct had Lee go full-on wrestle mode, and when he recovered, it was back to getting his opponent down and beating on him. Eventually, the damage Barboza wore had the doctors stopping things in the fifth round for a cut near his eye. The post UFC Fight Night 128 Results: Kevin Lee Survives Decapitation, Stops Barboza appeared first on Caged Insider.